संक्रामक रोग ( INFACTIOUS DISEASE ) आन्त्रिक ज्वर / मोतीझरा / टाईफॉयड [ Typhoid ] रोग का परिचय , लक्षण , पहिचान , परिणाम ,चिकित्सा विधि ? 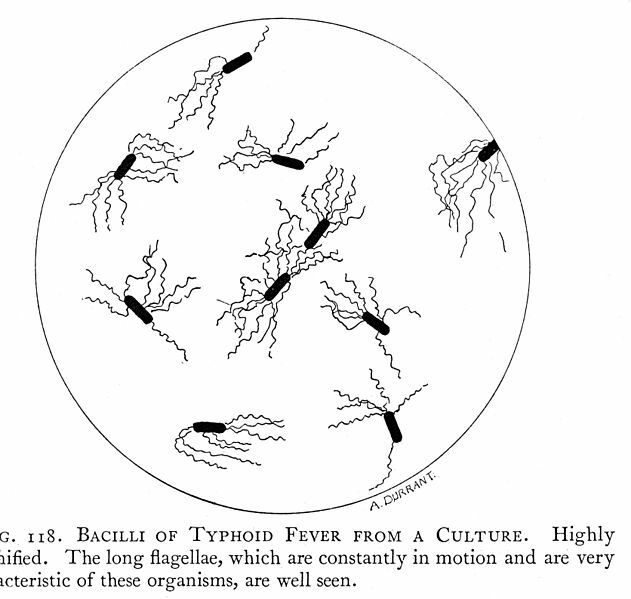 Internal fever / Motijara / Typhoid] Introduction to the disease, symptoms, identification, results, medical method? आन्त्रिक ज्वर / मोतीझरा / टाईफॉयड [ Typhoid ] रोग का परिचय , लक्षण , पहिचान , परिणाम ,चिकित्सा विधि ? Internal fever / Motijara / Typhoid] Introduction to the disease, symptoms, identification, results, medical method? • 0nce the temperature touches normal , the dose of chloranphenicol should be gradually reduced by 500 mg every 2 - 3 days and should be continued for 10 days ( more but not less ) or 500 mg . Q . D . S . for another one weak and 250 mg . Q . D . S . for about 4 to 8 days after the temperature has remained normal . 1 . मोनोसेफ ( Monocef ) ' एरिस्टों । 250 मि . ग्रा . / 1 ग्रा . इन्जे .